Commonly found in old estates, the boot room is a quintessential part of any grand property. 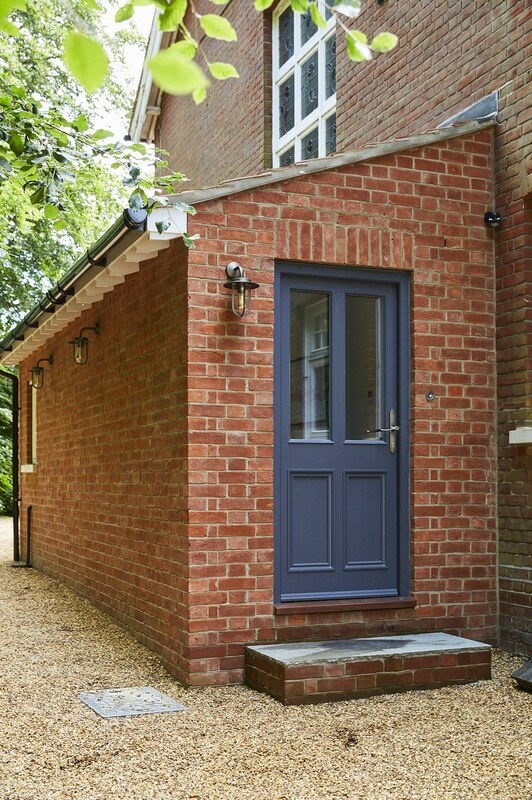 It’s the gateway between your home and the outside, so don’t neglect this important room – keep it looking super stylish with our expert tips. With all the sunny afternoons we’ve enjoyed this month, November has been ideal for getting those welly boots on and heading out for long autumnal country walks. But what to do with those muddy boots once you’re back home? Long gone are the days when wellingtons would be piled up in muddy heaps by the back door. 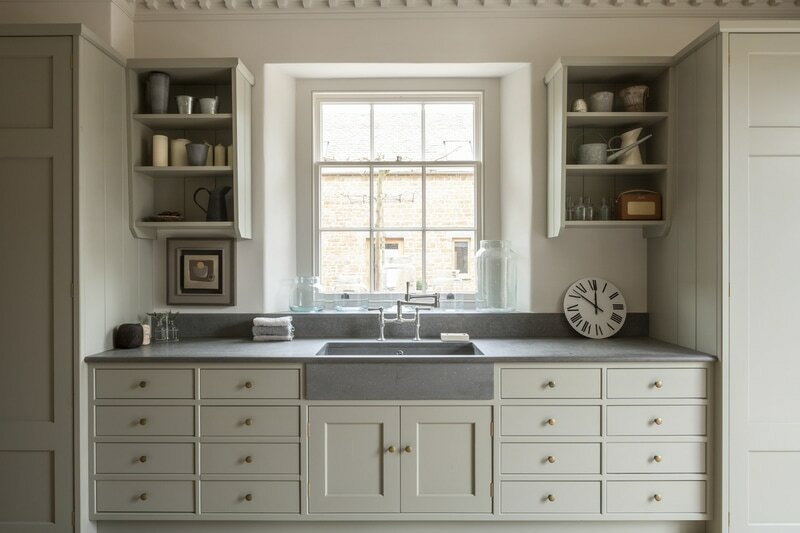 ‘Large country houses have always had boot rooms, but these days they’re seen as an important ‘valve’ to the outside world, or the main gateway into the house,’ explains Andrew Petherick from Artichoke. 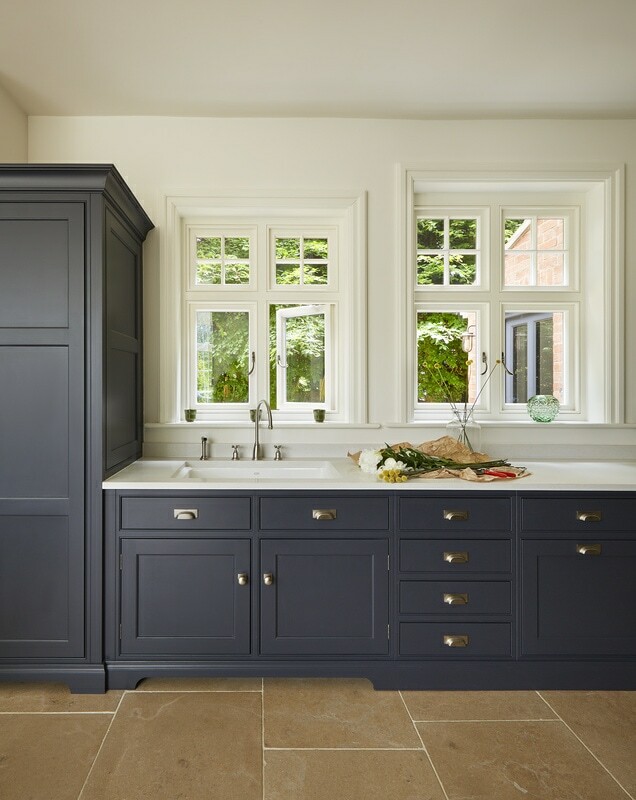 Designers and makers of bespoke high-end interiors and furniture, Artichoke are experienced boot room creators, working closely with home owners who want a more attractive everyday entrance into their home. A boot room can be an integral part of your day-to-day family life, often being the first room you see on your way in, and the last room you see on your way out as you rush between meetings, school clubs and riding sessions. 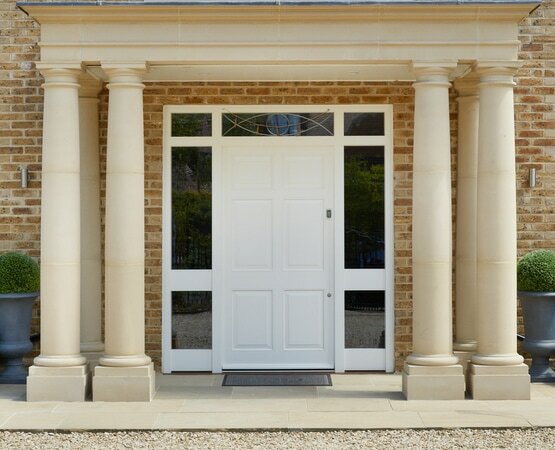 ‘The front entrance to a country home will usually be more of a formal entrance, leading into the drawing room or other smarter living areas. 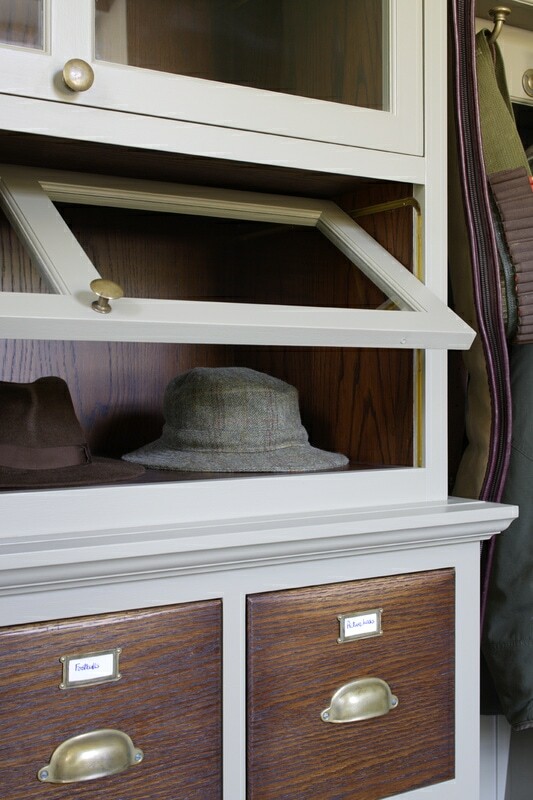 For busy everyday comings and goings, however, the boot room is a key, functional part of the home,’ says Andrew. 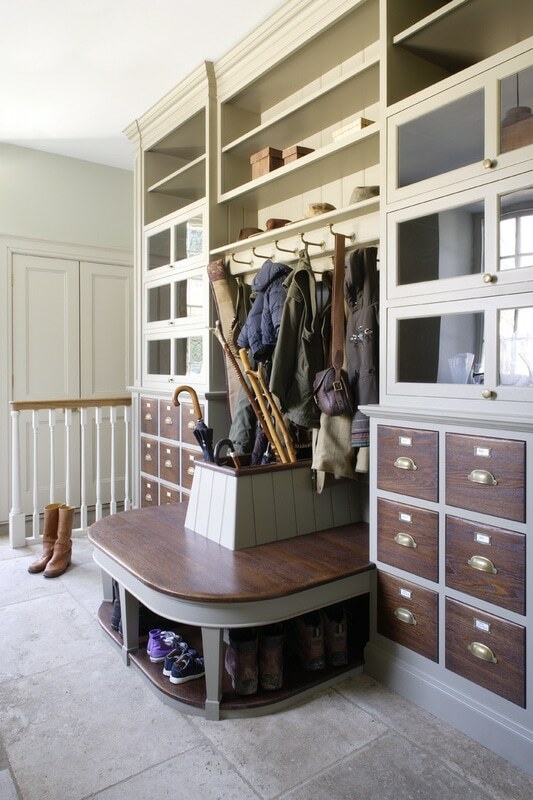 Don’t let your boot room be an unloved and unused space – having a beautiful place to pull your shoes on in the morning can only be a good thing. 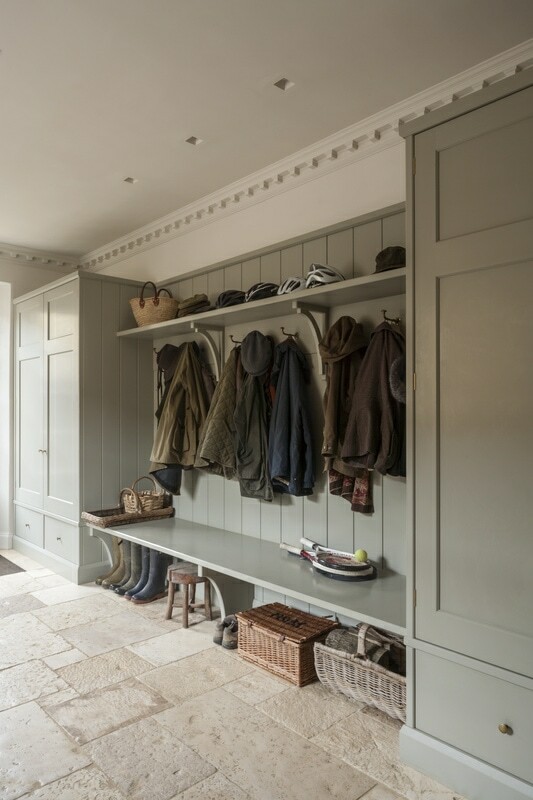 You’ll notice a difference, having a calming space to pause at the end of the day as you remove your rain-soaked coat can make your everyday life feel a little more indulgent. Avoid clutter and chaos at all costs. Above all things, your boot room needs to be neat and orderly. Keep it looking tidy by making sure that there’s a place for everything. Tall floor-to-ceiling cupboards and units will maximise storage space in smaller rooms and bring a cool ‘locker room’ aesthetic to the room’s interior. Choose quality hooks or pegs for rain macs, scarves, dog leads and satchels. Don’t hold back on the number of pegs either; three or four coats rammed onto one peg will look bulky and cluttered. Think about smart storage for umbrellas, walking sticks and cricket bats –be creative and try iron-cast stands, rustic metal buckets, oversized copper jugs or woven baskets. Shelves can be an excellent place for stacking hats and riding helmets which can look rather striking when lined up in rows, adding to the style of the room. For a cleaner, more minimalist look, store the hats away in boxes on the shelves instead. Wooden shoe racks can look very attractive, particularly if you manage to find vintage pieces. 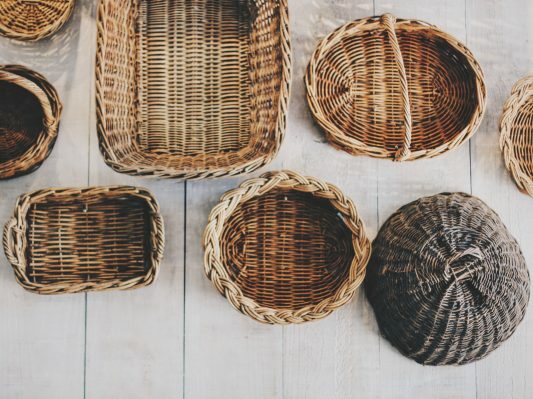 Wicker baskets, leather bags and boxes are great for keeping things organised. 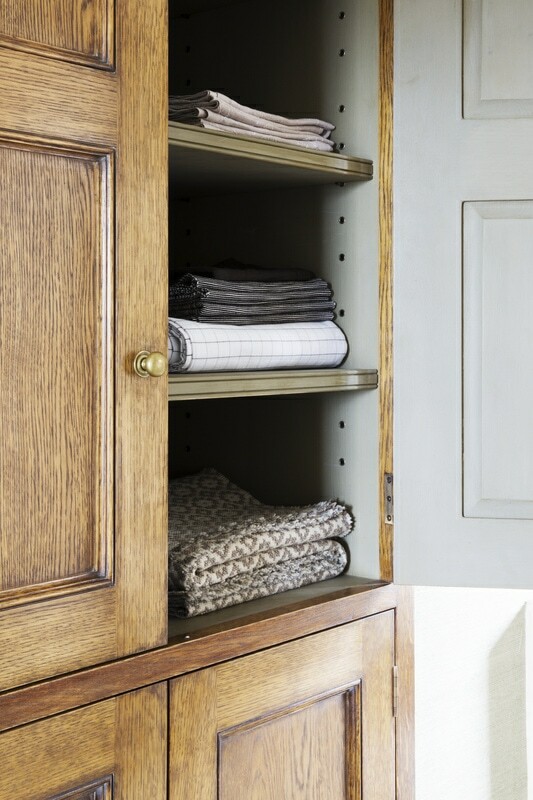 For smaller items, drawers are a must for effortless organisation. Use handwritten labels so you can easily find riding gloves, gym socks, boot polish or torches. With all those cricket bats, rugby boots and riding helmets being brought in and out, your boot room needs to be tough and sturdy. If you have dogs running in and out after their woodland walks, you’ll want the walls to be either panelled or painted with a specialist paint so that they can easily be wiped clean. Choose durable flooring that can withstand the heavy footfall, such as stone flags. No boot room is complete without a traditional bench seat. They play a big part in terms of functionality, with space underneath for storage, but aesthetically they define that classic, country living style. Top with bolster cushions for a modern look or use garden bench cushion pads which are usually waterproof and easily cleaned if things get muddy. 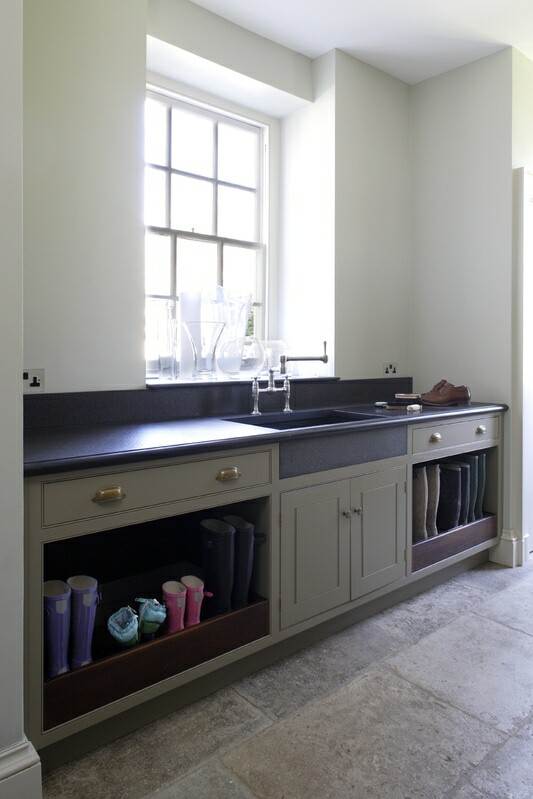 Consider whether your boot room will need a sink for washing hands, bathing smaller pets, cleaning boots or rinsing off vegetables picked from the garden. It should be a durable sink that can handle knocks and scratches from muddy paws, gardening tools and hard bristled brushes. 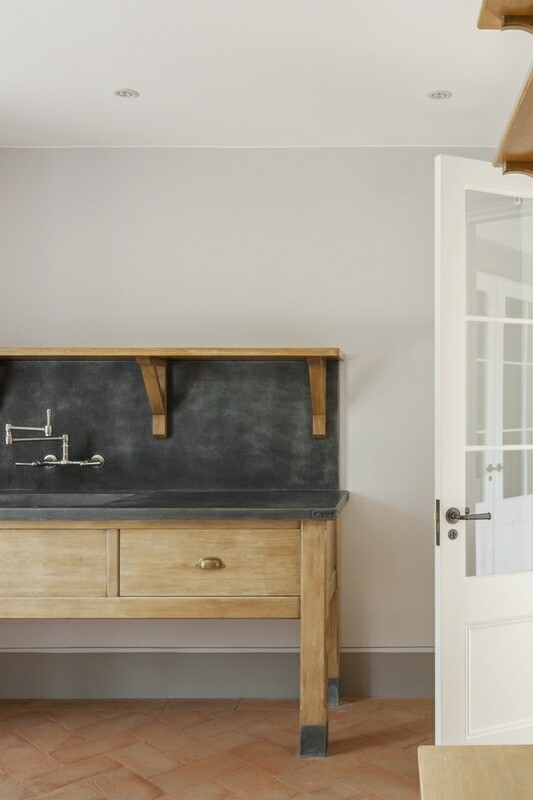 A solid stone sink or ceramic Belfast sink is ideal and will bring a contemporary ‘scullery’ feel to the room. A drying rack could be a handy addition, with towels on standby folded away in cupboards. With damp raincoats, rugby boots and muddy dogs, keeping the room freshly scented and aired is important. 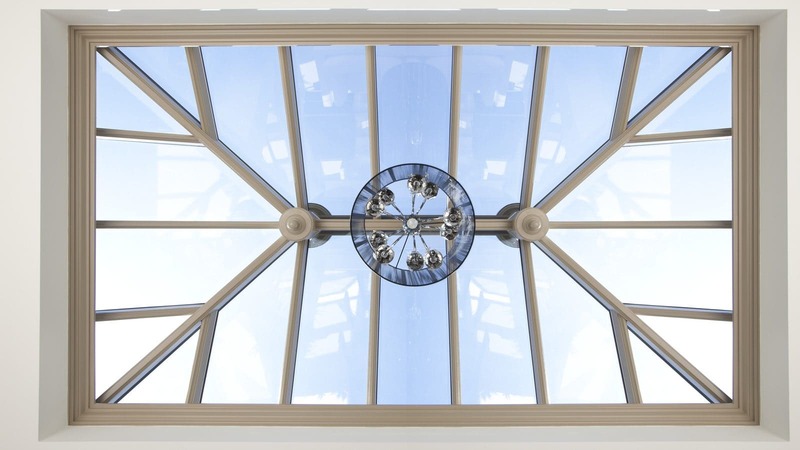 Consider investing in high-performing modern glazed windows which can help with the room’s ventilation while keeping the room insulated during the winter months. 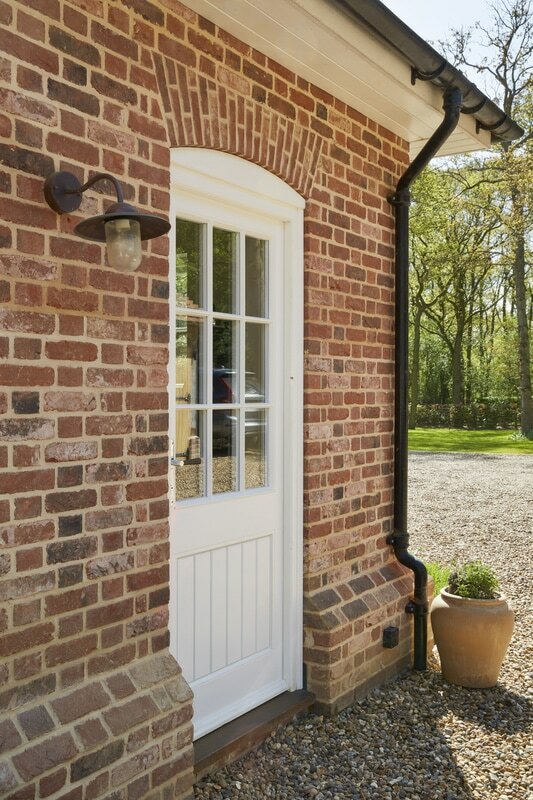 Choose a window style that complements the room’s interior; opting for bespoke designs can be a great option for retaining a period character. Don’t be afraid of using subtle room fragrances such as reed diffusers, organic room sprays, scented drawer liners or kitsch home-made lavender bags. We love Illumen’s Gentlemans Shed aromatic taper diffuser; it sounds unusual but it has a very clever, nostalgic fragrance that would be ideal for a boot room. Think carefully about your routine as you come and go from the house. Do you need a safe and secure space for storing keys for sheds and garages? Then consider a drawer with a secret compartment. Are you normally in a rush in the mornings? Position a grandfather clock in the room to help you stay on time. Do you like a last-minute outfit check in the morning? Hang a mirror. Could your phone usually do with a quick charge when you get in from an evening stroll with the dog? Fit a wireless charging dock. There are no limits, think outside the box! A mini fridge could be great for storing lunchboxes ready for the morning, or for keeping drinks and orange slices cold for when the kids have finished their Saturday morning rugby match. Choose stylish fabrics and textiles in country patterns and colours. Install the same cabinetry and door hardware such as handles and locks as you have in the kitchen to help the rooms flow. You can change the paint colours to define the change in space. 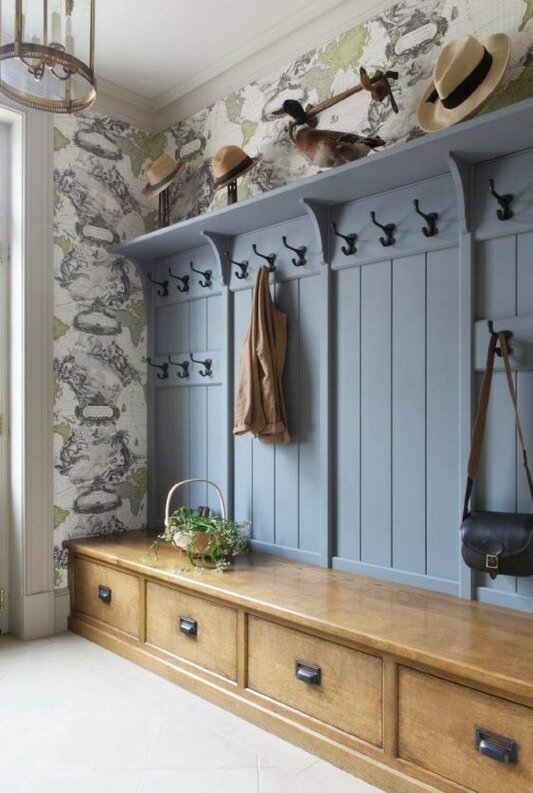 With your boots and coats stored neatly in your boot room, your hallway is free of clutter and can be turned into a show-stopping main entrance with space for art, ornaments and mirrors. 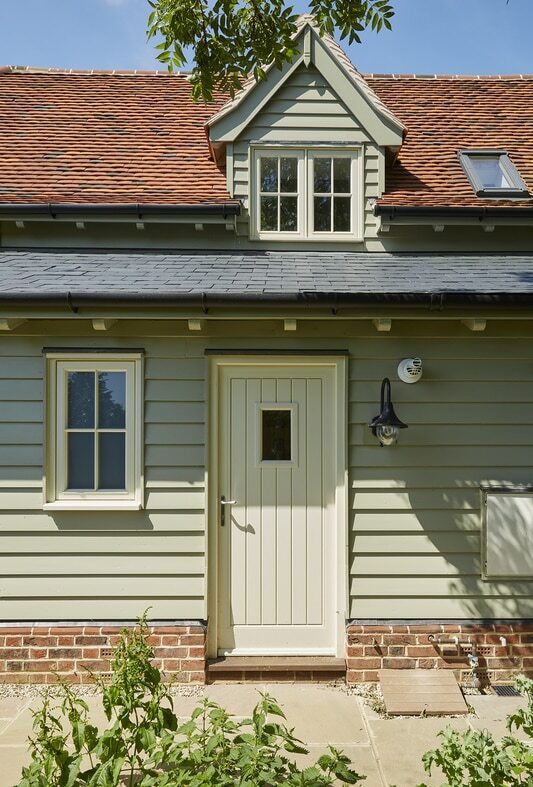 Friends and visitors will be more likely to come through the front door, but your side entrance and boot room is just for you and your family so having a few personal touches will keep it feeling special. Include family pictures in frames, keep your favourite hand wash and lotion by the sink, hang initials on the walls and label drawers or coat pegs for individual family members. Be creative as you like, your boot room should feel personal to you.